Employees accessing sensitive data via unsecured connections. 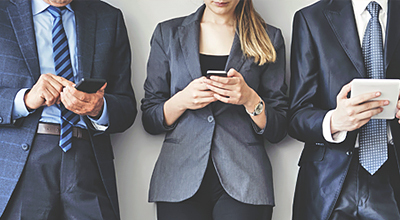 “An employee who uses their phone for work could potentially put your company at grave risk if they send/receive information with sensitive client data, such as Social Security numbers, via an unsecured connection. For example, an employee who is on vacation may use their phone to send an important document which the contains personal information of your customers, and they do so by using the hotel’s wi-fi…this could spell major trouble as these public connections are very easy to hack,” says Wilson. Wilson says that there are a number of things that employers can do to make sure that their information stays safe, while still optimizing employees’ time and energy by allowing them to BYOD. Wilson says that there are other smart things companies can do as well, such as separating their data in the workplace.